← Nothing Says Valentines Like…………..
Back in my early 20’s, after a long night of um, drinking, when I finally rolled out of bed there was nothing like staggering out of the house to get biscuits and gravy for breakfast. Something about them soaked the hangover away. In my late 20’s, early 30’s, when I was a vegetarian and craving this breakfast it wasn’t an option nor could I master it. 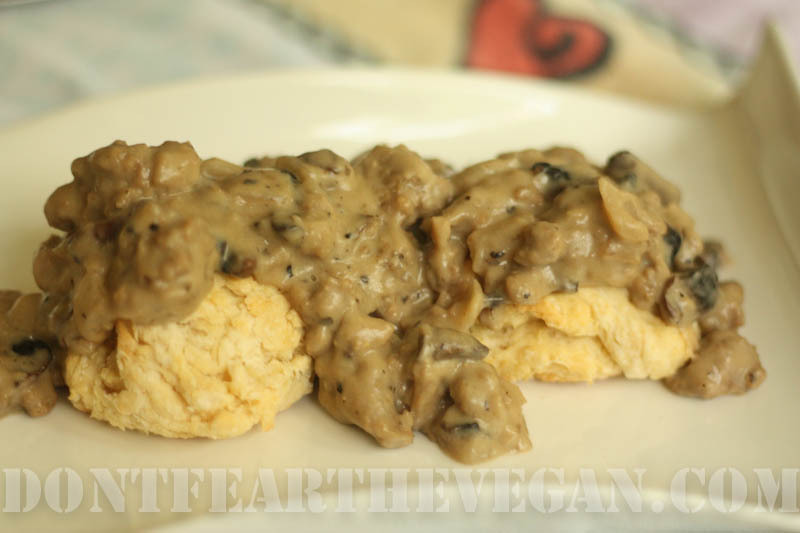 When we first moved to Seattle there was this little vegan place that made amazing biscuits and gravy. Though I didn’t need them as a cure for anything at this point, they became something we would go eat just because, until the owner closed up shop 6 months later. I had been craving them ever since. Recently my mom was in town and she had a an awesome biscuit recipe and it was put on me to create the gravy. 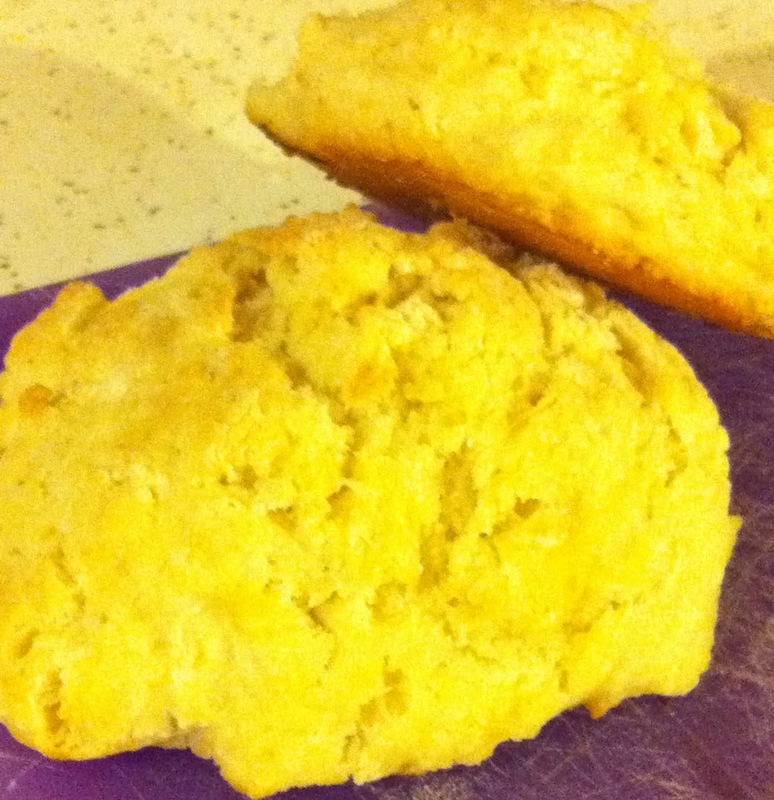 This is what I came up with along with the biscuit recipe that I altered. It might be a little to involved if you were going to try to make it as a cure for a hangover but still pretty tasty. In a frying pan over medium heat saute onions in oil until translucent. Add sausage and mushrooms. Crumble sausage as small as you can. Cook until sausage is brown but not crispy. Add butter and mix in. Once Earth Balance is melted slowly stir in flour. Slowly poor in bouillon and water mix. Lower to low heat and add sour cream. Add pepper to taste. I prefer thick gravy but if it is too thick for your taste add more water. Leave on low until you are ready to serve. Mix soy and apple cider vinegar and let curdle for a minimum of 15 minutes. I use vanilla soy because I find it leaves less of a soy aftertaste. Preheat oven to 450 degrees. Grease cookie sheet (I use butter to add a more buttery flavor.) Mix flour, baking powder and salt. Cut in shortening and butter till mixture is crumbly. Make a well in the center of the flour and pour in soy mixture. Stir together until dough is formed. Use about a 1/4 cup of dough and put into pan. I don’t try to form them but you may. Bake 10 minutes or until golden. >OH MY GODVegan Biscuit plan from now on! Which I have been needing.The gravy is wonderful. I used just 1 tablespoon of oil, as 2 seemed like a lot at the time. I thought the gravy was gonna be more white (which is this weird desire of mine), but it was light brown. However, it is hella freakin' delicious. The girlfriend and I both love it. >Just kidding, I'm a jerk and our measuring instruments aren't labeled. Instead of tablespoon I was using the 1/3 cup thingy…. uh… heh oops.